It was late May. Our premiere at RiverRun was a little more than two weeks away and my computer was crashing. No matter what I tried I could not get it to load the files that Jon, our graphic designer, had given me, that would finally let us “lock” the picture. We had been working on the film for a over seven years – which is a particularly long time in computer years. The film was sitting on a computer that was over 8 years old running software that was a least two upgrades out of date. It just couldn’t handle Jon’s files. With two weeks to go it was time to buy a new computer and transfer the films files to new software and hope for the best. It was a pretty tense weekend, but we made it. Seeing our film premiere with two nearly sold out screenings at RiverRun was awesome. And winning RiverRun’s “Audience Choice Award” was more thrilling. After all those years of thinking about the film every day, whether we worked on it or not, it was great to see it up on the big screen. Jamie and I learned a lot over those years, but I don’t think either of us fully appreciated how much more there was to learn. Once you have completed an independent film there is a fairly typical path to getting it seen – you enter film festivals, hope you get in, and then, hope somebody wants to buy it. We’d experimented with film festivals a bit with our short Greg Taylor – Ghost and had a little bit of success. We’d learned enough to know that, no matter how good you think your film is, you will be rejected more than you will be accepted. It frequently takes several months to find out whether you’ve been accepted or rejected. You also learn you just can’t predict what festival programmers will think. So you quickly learn not to take anything personally. Once the glow from RiverRun was over, and we knew the film was actually done, it was time to submit to other festivals. You do that, generally, through two websites, FilmFreeway and Withoutabox. Filmmakers list all of the information about their film on either or both of the websites and the festivals do the same. Then filmmakers spend hours looking through all of the festivals trying to figure out which ones might be a fit for their film. When you find one that fits you pay a submission fee, usually from $10 – $100, and then wait to find out what they say. As filmmaking has become more “democratic” (meaning that, because the cost of equipment has gone down dramatically many more people can make a film) there are more and more people submitting to film festivals. Sundance, for instance, has slots for 60 short films and receives over 14,000 submissions. The first day RiverRun opened their submissions for the 2019 festival they received over 400 submissions. That’s a pretty big haystack. And those numbers get larger every year. When we first started submitting we thought that North Carolina festivals would be interested in our story. So we submitted to most of them. As we cast our net further our rationale became more vague. The Atlanta International Film Festival? Sure, they say they show documentaries, and we’d like to go spend a few days in Atlanta, why not submit? Toronto? Sure! Before you know it you’ve spent $1,000 on submissions, you have a calendar marked up with all of the dates, and you are waiting to hear yay or nay. It’s only when you get your rejections that you start to learn things. When you get the rejection letter from Atlanta you look a little more closely and figure out that it’s a three day film festival that showed six documentaries of which four were shorts. So they only had two slots for feature length docs. Those are very long odds! I didn’t think much about the Toronto submission – I didn’t really think we’d get in and wasn’t surprised when the rejection letter came. What surprised me was the next day when Toronto released their slate of documentaries – It was headed by Michael Moore’s new film Farenheit 11/9, and American Dharma by renounded doc filmmaker Errol Morris, followed by films from HBO, Showtime, A&E. While I suppose it was obvious, it never occured to me that our, truly independent, film would be “competing” with these films with studio support, big fat budgets, and full time publicists. Still, we haven’t done so badly. So far, IPOJ has been accepted into 6 film festivals from NC, to New Hampshire, to California. We’ve been rejected by 11. And right now we’re waiting to hear from another 13. The big reach coming up is the Full Frame Film Festival in Durham, NC. It’s a four day festival with slots for nearly 100 films which they select from over 2000 submissions. 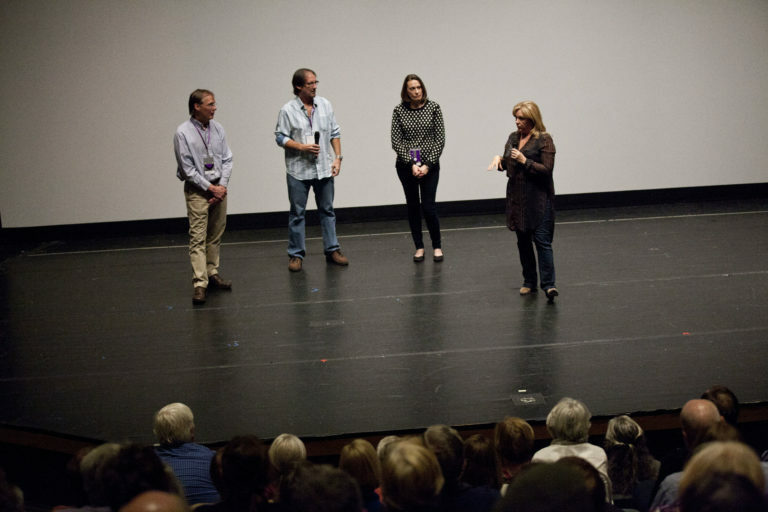 Full Frame is one of the country’s premiere documentary only film festivals. I really wasn’t going to submit. But Jon and Jamie both said we should. Perhaps we have a small edge because ours is a North Carolina story that took place a mere 20 miles away from Durham. And both Greg Taylor (our hero) and Chris Mumma (our heroine) live in Durham. Will that be enough to compete with the other great docs made this year? I’ll let you know March 6.